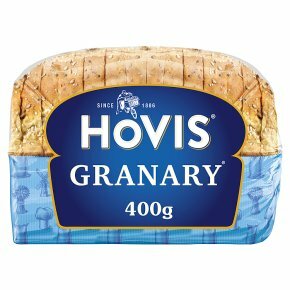 A 400g sliced brown bread with malted wheat flakes and toasted grains, for a distinctive flavour and texture. Slowly malted for a superb taste. Source of fibre, vitamin B1 and protein. Suitable for vegetarians. The Benedictine Monks of Burton Abbey discovered that slowly toasting wheat flakes used in their brewing process offered a distinctive malty taste, which is what gives our loaf its unique flavour today.